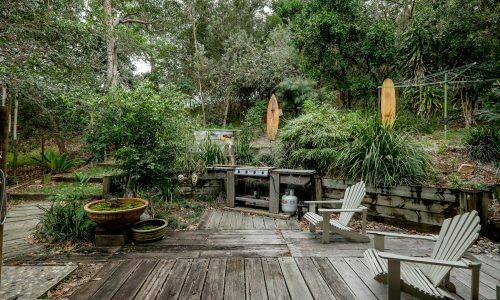 Hidden gem, great location in central Point Lookout! 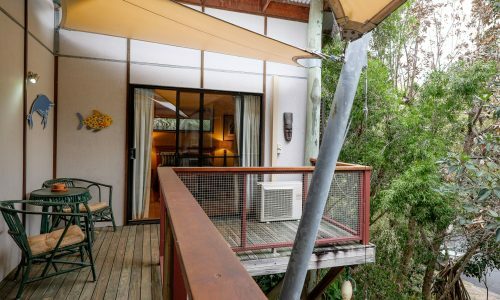 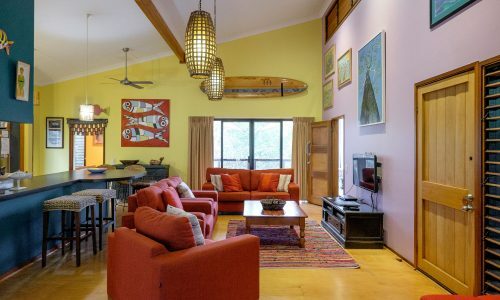 Five Bimba really is a hidden Straddie gem, in a great central location at Point Lookout. 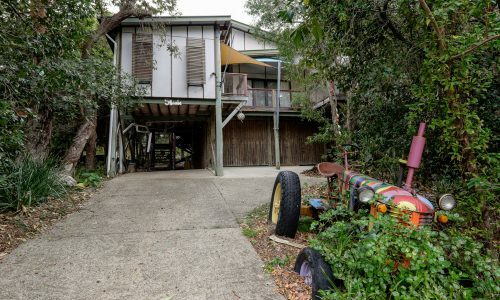 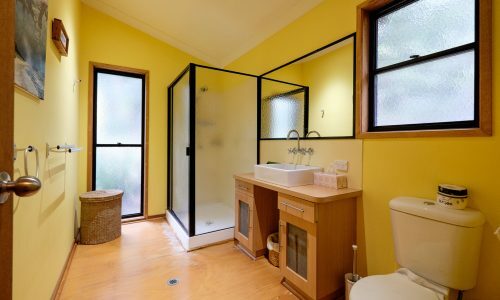 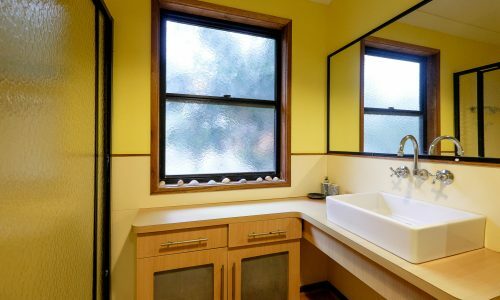 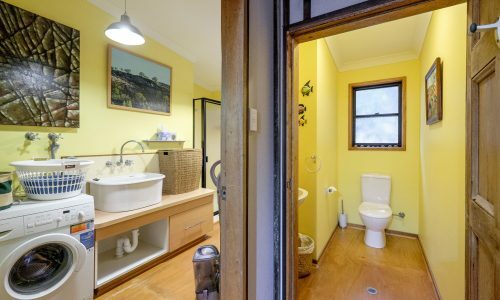 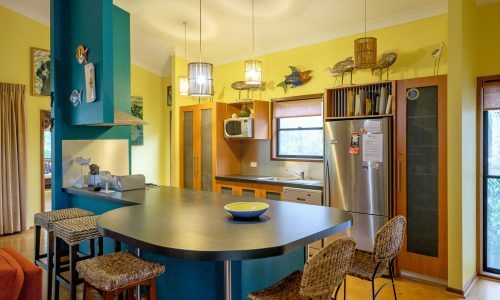 This lovely property is in a perfect position tucked away in a private setting backing onto bushland. 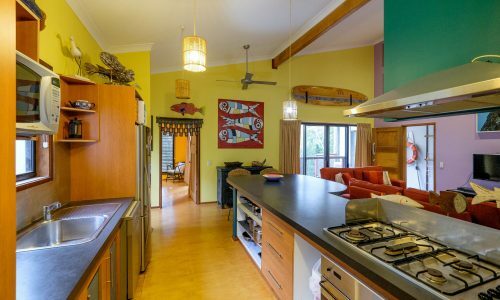 The property features a large well equipped kitchen and open plan living area which opens out onto the large back deck. 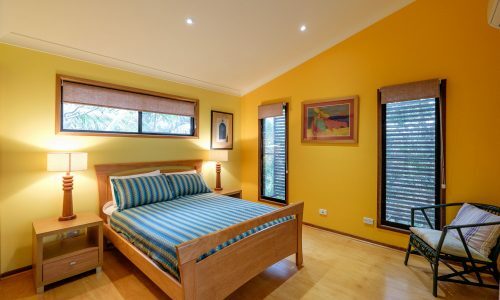 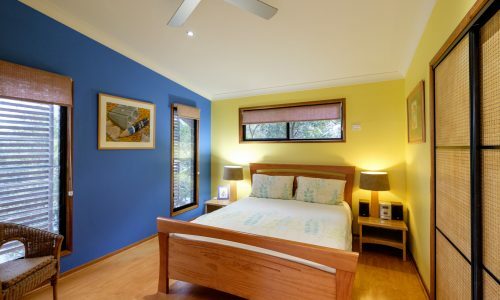 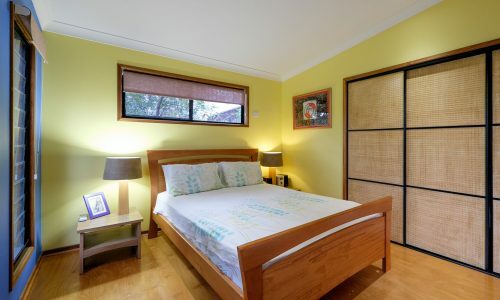 The huge master bedroom has an ensuite, is air conditioned and also has doors leading out to the back deck. 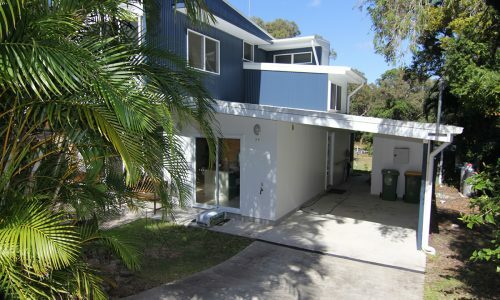 The other 2 bedrooms have air-conditioning and access to the front deck. 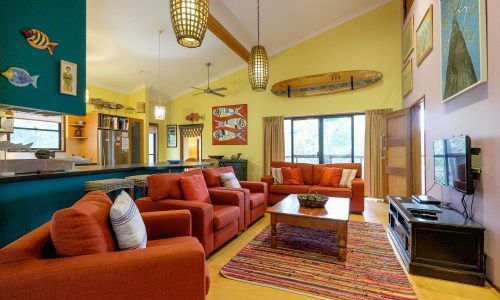 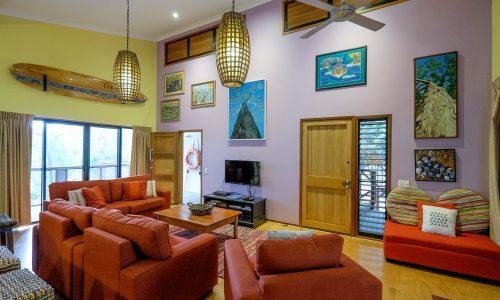 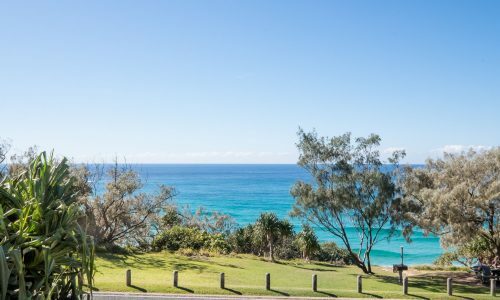 Point Lookout cafes, shops, Frenchmans Beach and the gorge walk are just minutes away from this property. 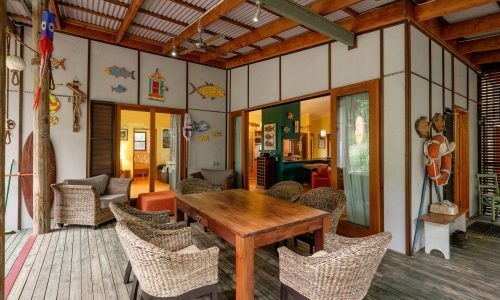 Filled with character and comfort Five Bimba is the ideal property for your next island holiday. 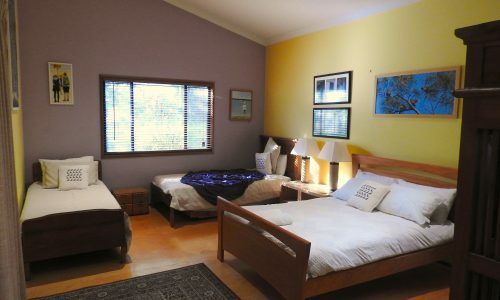 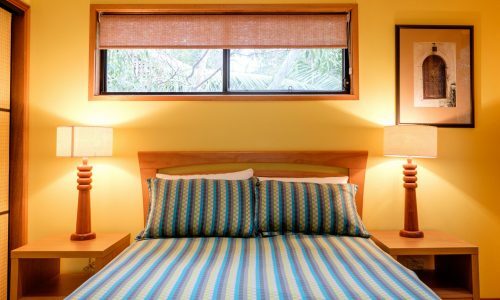 NOTE: Bookings at Five Bimba Tractor House include a $50 cafe voucher for fish and chips, and our premium linen and amenities pack, with beds made ready for you to enjoy your stay.